ENCINITAS — A recent article in The New York Times titled “The Pleasure and Pain of Being California, the World’s 5th-Largest Economy” examined the pros and cons that the state’s economic success has doled out to residents. Encinitas is a case in point. As more money and economic opportunity flow into the city, so come the woes — from gridlocked traffic on I-5 and the Coast Highway, to soaring property and rent prices that defy affordability for many middle- and lower-income Californians, to a perceived uptick in homelessness. Like many California communities, Encinitas is grappling with how to grow sensibly and address the changes that stem from increased prosperity and a larger population. But unlike most California communities, Encinitas remains out of compliance with the state’s housing laws, particularly as they pertain to affordable units. Encinitas, by order of its Regional Housing Needs Allocation, must designate locations that could be developed or renovated to accommodate 1,286 units of very low- and low-income housing. While the City Council recently approved a long-debated and frequently changed list of sites that could yield 1,685 units, the reality is that those sites represent potential locations. No projects are actually breaking ground there. Only 66 affordable units have been built in Encinitas in the past six years. An additional 103 accessory dwelling units (aka granny flats) have been deed restricted for either low- or very low-income renters, slowly inching the city closer to its target. Encinitas Mayor Catherine Blakespear said in her State of the City Address that getting the city compliant with state housing laws “is our most pressing, urgent and critically important issue.” Through a process Blakespear has called a “messy compromise,” the city appears to be picking up momentum toward state compliance. That is Lois Sunrich’s personal experience and her explanation for why the grassroots group she co-founded, Keys4Homes, tries to put a human face on the Encinitas residents and workers who would benefit from affordable housing. 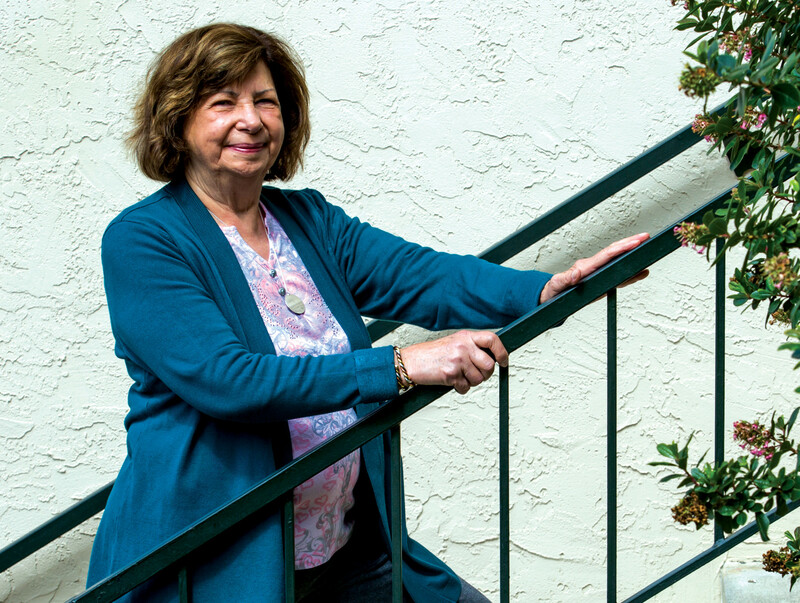 Sunrich didn’t think she could afford to retire in Encinitas — her hometown since 1974 — so she went to Oregon to explore options. But as the reality of settling in a new state away from family, friends and the community she loved began to sink in, she felt depressed and panicked. “I drove back to Encinitas in a cloud wondering ‘What am I going to do?’ Age 70, I discovered, was not an easy time to uproot.” She attended a Housing Element Task Force meeting in December 2017, thinking maybe she could find help there. But what she discovered was a much larger conversation and controversy over affordable housing. Shortly afterward, a mutual friend introduced Sunrich to Bob Kent, an accountant and former chief financial officer of the Community Resource Center in Encinitas. The two formed Keys4Homes in January 2018. Keys4Homes advocates for affordable housing in Encinitas, with a short-term goal of seeing at least 80 affordable units built in the city by 2020. Gita St. John, 75, recently heard about Keys4Homes and joined them in sharing her personal story at the May 9 City Council meeting. An Encinitas resident for more than 24 years, St. John is a retired nurse and also a veteran. She lost her condo in the downturn and has been renting since. Her rent continues to go up, but her small pension and Social Security remain fixed. She recently developed a hip problem and can’t easily climb the stairs to her second-floor walkup. When St. John discovered that a unit with elevator access had become vacant in the main building of her complex, she approached the manager with flowers, a doctor’s note and a friend for moral support. That particular unit was not available for a transfer, St. John was told. But shortly after that, another apartment in the complex with elevator access was offered to her for a higher price of $1,375. St. John’s rent increased $100 in January and will go up another $125 if she moves into the more accessible apartment. Like Sunrich, St. John does not want to be uprooted from the community where she volunteers and shares meaningful connections with her church and friends. But the future remains uncertain, with no easy solution in sight. St. John holds out hope that the city will help her and others like her — whether they are retired or earning $15 to $20 an hour. Workers priced out of the Encinitas housing market have to commute long distances, which further erodes their wages, lengthens their day and contributes to regional traffic jams. She noted that some local residents seem to have an outdated impression, picturing the notorious “projects” built in the late 1940s to early ’60s that are often characterized as monolithic, crime-ridden and undesirable eyesores. Contemporary affordable housing, by contrast, typically strives to be indistinguishable from other housing developments. It should be “integrated into the city,” Blakespear said. Most affordable housing in Encinitas (whether built or planned) is incorporated into buildings with market-rate units. It’s common for 85 to 90 percent of the apartments to be rented at prices the market will bear, while 10 to 15 percent are designated affordable. To allow for the density necessary to hit the various housing income targets, the city is considering rezoning sites to allow 25 to 30 units to be built in one net acre. One proposed development standard would permit builders to construct three stories, with a maximum height of 37 feet. How to design and build new housing developments so that they blend into the fabric of Encinitas while still maintaining high density was the subject of a Community Roundtable on May 2 at City Hall. After city-hired consultant Dave Barquist presented slides showing different potential roof styles, certain audience members expressed irritation. Damien Mavis and his family own a vacant 5.2-acre parcel in Olivenhain capable of accommodating 100 to 150 units. They are willing to guarantee 50 percent affordable housing on the site, which far exceeds the typical development bids in Encinitas. Why doesn’t the City Council leap at the offer? The Mavis property shares a border with the San Elijo Lagoon Ecological Reserve. Conservancy Executive Director Doug Gibson has stated that in order to protect wetlands habitat, which could be further diminished by sea-level rise, his organization would oppose any development projects on the Mavis parcel. The City Council’s decision to pass on the site gives the conservancy “breathing room for now,” Gibson said. Mavis’ proposal is to split the parcel, donating half to an organization such as Community Housing Works to build and manage affordable housing units. On the other half, the Mavis family would construct market-rate units. The two sides, however, would look the same. Mavis works in land development and construction. His father built the Encinitas Country Day School on a different parcel of the same property. The school also faced opposition due to environmental concerns. This is one of the most thoughtful and thorough articles I have read on housing in our region. Great article. You have thoughtfully and articulately presented all the facts. 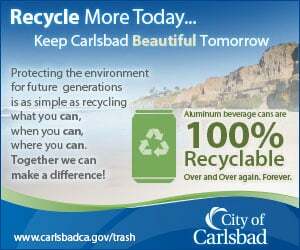 Now it’s time for the City of Encinitas to follow through on their duty to the citizens of Encinitas. Excellent article! All the bases covered beautifully. Affordable housing is needed in all cities. I just can’t believe we are so remiss is making this a reality. Why are we so afraid of housing people? A diverse community with mixed income neighborhoods is more vibrant, more economically resilient, and more interesting. We have high density in much of Leucadia and Cardiff and people refer to it as “community character.” But NIMBY’s in the middle of Encinitas have stoked fear out of their perceived self-interest, thinking only about how to protect their personal property values. They are wrong about property values and they are harming the community by their opposition to rezoning. There is no “somewhere else” to build. I welcome apartments and smaller homes. We need to recreate the ladder that allows people to start in small homes/apartments, and move up as their economic and family circumstances allow. The resistance to affordable housing reflected in council meeting votes makes me sad. This article makes me hopeful that decency will prevail over selfishness. As an Encinitas resident and affordable housing developer, the city should be embarrassed. Stop with the delays. You have a gift staring you in the face. As any affordable housing expert will tell you getting access to land is the most difficult part of any deal. Stop the noise and build the housing. This notion that affordable housing projects will negatively impact values and esthetics is petty and flat wrong. Furthermore You have someone like Community Housing Works that builds fantastic product great involved. There are no more excuses. If you can’t do this the entire council should be removed from office. The Council isn’t thinking about low income housing. Staff and the consultant are leading the Council into a precipitous situation that will provide developers with properties with increased densities for market rate condos. One issue – the height of ceilings. Developers want 9 foot ceilings. Probably 75% of the housing in Encinitas has 8 foot ceilings. It takes more energy to heat or cool a larger room. Why should the Council agree to 9 foot ceilings? The developers want larger market rate apartments which require more acreage to be upzoned to a higher density. The reality is that low income apartments aren’t large apartments. Some cities allow studio apartments to be 300 sq. ft. or less total area and one bedroom apartments less than 600 sq. ft. total area. If the Council would require these smaller apartments, the number of properties upzoned would be closer to 20 acres instead of the 235 acres city staff is putting before the Council. The building height for the low income housing can be kept at less than 30 feet if the smaller apartments are built. The upzoning that is proposed is for market rate units with an obligatory low income unit that would disappear if the developer pays an in-lieu fee. The misconception by low income housing advocates is that the subsidized apartments will be available to everyone. The truth is that renters must meet low income maximums and in most cases a lottery is used. This housing element update is strictly for the building of more market rate units. Wonderful article and well said! Bob Kent spoke so elegantly at the city council meeting a few weeks ago. Affordable housing neeeds to be a priority as housing rates rise in this beachside community. I totally agree with you. I would like to say though that (the only 2 of the 5 council members) Counilmember Tasha Boerner-Horvath and Mayor Blakespear DID stand firm with their vote to keep the only guaranteed affordable housing land on the housing element map. And I applaud their courageous votes in light of all the pressure – hours and hours of it -led by Richard Boger (see his name in the article about “mending the broken pieces”) to take it off the map because it was in a half mile of his and his neighbors’s homes. Now Mr. Boger is all in praise of affordable housing with his love and peace and community now that any affordable housing and increased zoning density will no longer be anywhere near his home to affect his property values. The writer of this article should define affordable housing. As a generic term it just means housing that someone can afford. The state, cities, and the housing advocates define affordable housing as restricted income housing. Cities are required to build restricted income housing. One of the low income “affordable housing” builders sets a cost limit on building of $100,000 per apartment. That is $200,000 below building costs of a market rate apartment. Why aren’t the builders rushing to build? Because there’s no profit in low income restricted/or unrestricted housing. The speakers for “affordable housing” aka income restricted housing may be well meaning, but they are pushing an agenda that will result in million dollar housing units and few low income restricted units. The smaller older apartments and houses with lower rents are demolished for larger expensive units. Why aren’t the affordable housing aka low income restricted builders rushing to build? There is no money available. There is no land available. The organizations can buy up old hotels or apartments for low income restricted housing. But, for the “affordable housing” organizations they also have monthly expenses for their major employees and operating expenses. During the last 25 years, subdivision builders in Carlsbad built on a yearly average 80 low income restricted housing units, BUT they came at a cost of 13,333 new market rate housing units and 33,333 new residents. The State has caused this housing problem. The State has thrown it to the cities and counties to solve. Mayor Blakespear’s family has 5 acres of vacant land close to their house. The Mayor isn’t offering the property for low income housing. One hundred fifty (150) low income housing units could be built immediately on the Blakespear family property. Mayor Blakespear should make that property into low income housing. It’s the right thing to do Mayor Blakespear.